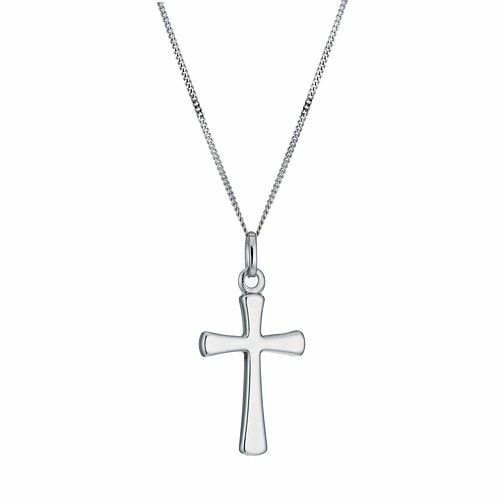 This classic cross pendant keeps it simple with 9ct white gold and a fine chain. Signature jewellery perfect for all occasions. 9ct White Gold 23mm Cross Pendant is rated 3.3 out of 5 by 3. Rated 2 out of 5 by Anonymous from Chain very thin....it broke. Looks very nice but the chain is very week. I gave this as a gift and now the recipient has to find a chain.